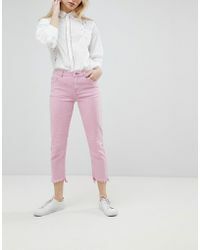 Directional, trend-led yet easygoing, Only is a popular Danish label and a favourite of fashion-forward women all-over Europe. 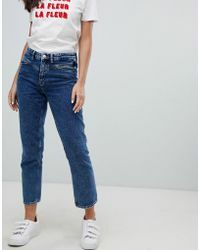 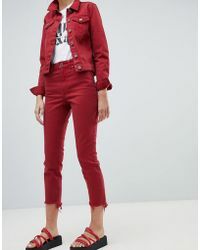 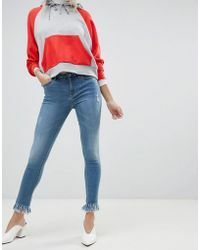 Forming part of the Bestseller group, its focus is on wearable, accessible high street looks that capture the fashion zeitgeist season after season, like this must-have range of Only jeans. 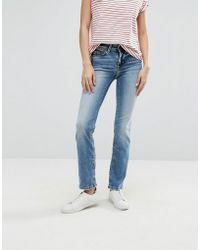 For an off-duty wardrobe that packs a punch, look to the latest line of Only jeans. 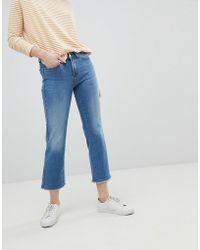 Here you'll find sleek skinnies, ripped-knee 'Mom' jeans, vintage-washed boyfriend jeans and even retro flares, bringing an ultra-cool vision to your look.